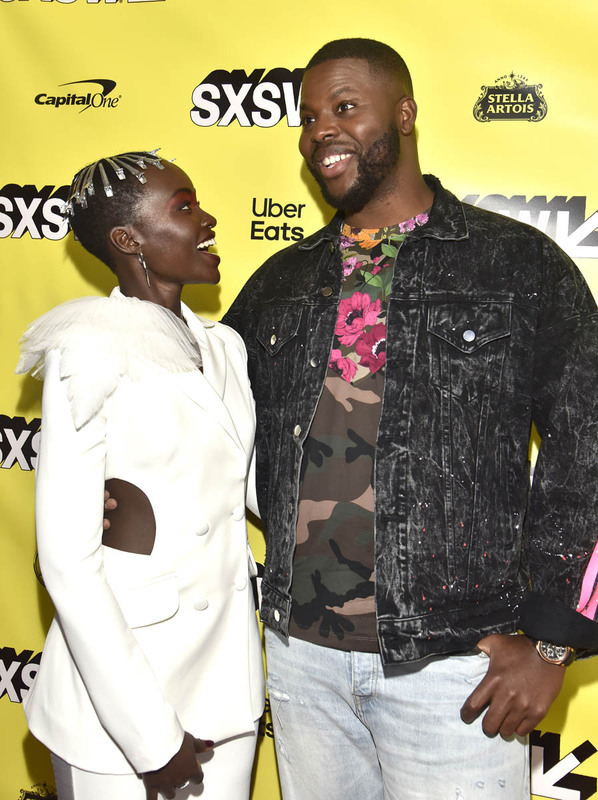 When Jordan Peele introduced Lupita Nyong’o at the world premiere of Us in Austin at SXSW on Friday night, she leapt from her seat and started punching the air to cheer for her film and hype up the crowd. She was PUMPED because she knew what we were about to see: the most talked about movie of the festival. Since the Christmas Day trailer drop, Us has cemented its “most-anticipated movie of 2019” status. 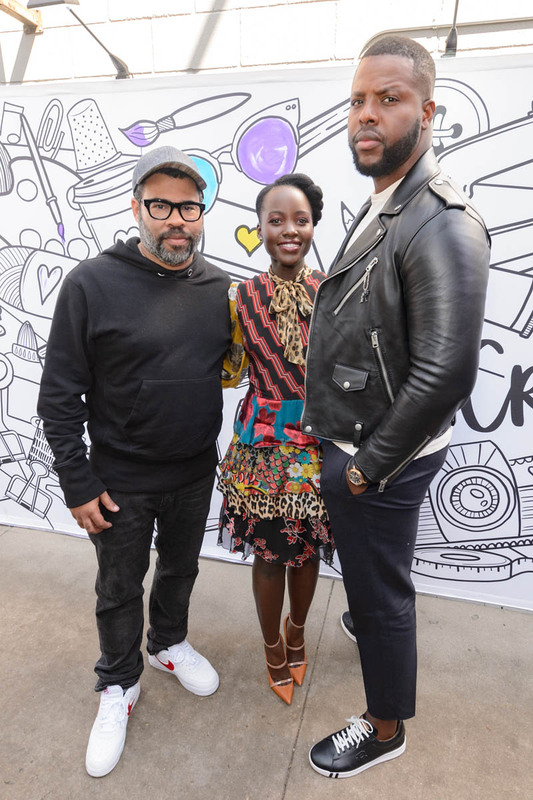 Nick Kroll, Elijah Wood, Shia LaBeouf (I didn’t see FKA twigs), and Jeffrey Katzenberg were among the celebrities I spotted at the premiere, while John Legend and Chrissy Teigen, Janelle Monáe, Lupita’s Black Panther director Ryan Coogler, and Lakeith Stanfield were photographed at an LA screening that same night. So this is a title that’s bringing out the stars. US ?!!!!!!!! !Xkgzlgxhlhxlhxhlxlgxlgzlgzgl”)[email protected]),@),,)@@,$,@),”@).l)”)[email protected]).”.)@).. )@@)[email protected])[email protected]):.”)[email protected])[email protected]).$.”.)@).. )@@)[email protected])).)!. 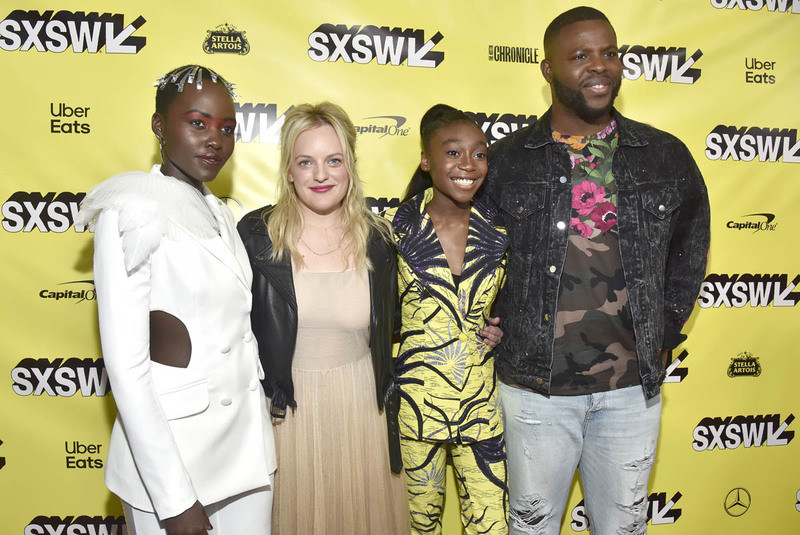 In Austin it’s still the movie everybody is talking about even after the weekend. 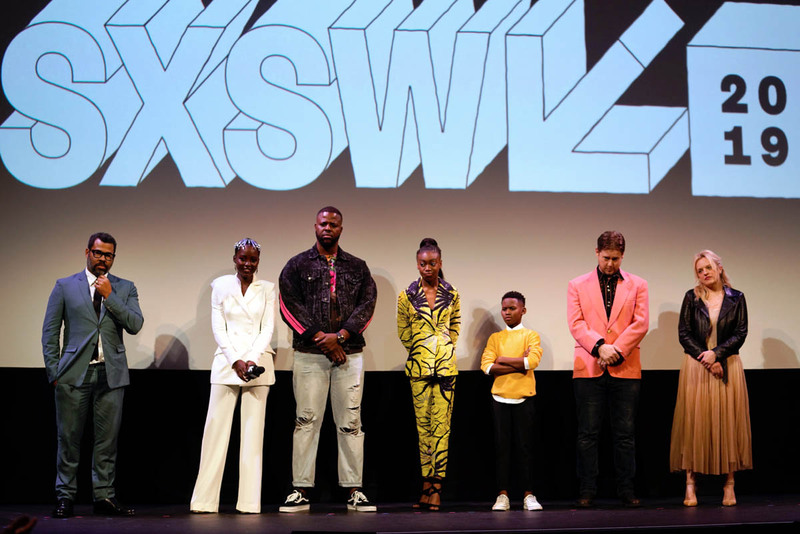 With only one screening, most of the press at the festival saw it on opening night, and “did you see Us?” is basically everybody’s first question when meeting somebody new. Busy Philipps hosted a live taping of Busy Tonight at the festival and admitted it’s all anybody wants to dish about. She said she was too freaked out to see it, but that she loves Peele, who sent her a pair of gold garden shears. She said she will buy two tickets for her assistant to check it out and get the synopsis that way. Nick Kroll was one of her guests on the show, and he brought it up basically as soon as he sat down. And at the Booksmart after-party on Olivia Wilde’s birthday on Sunday, coincidence or not, the key soundtrack song “I Got 5 on It” played before Santigold took the stage. The buzz is on our party playlists too. Why the hype? Well, Us continues Peele’s tradition of holding up a mirror to our societal biases and perceptions by creeping us out to our core, as we’ve come to expect from the twisted mind behind Get Out. It’s SUPER provocative and delivers real scares and suspense on the level of the raptors-in-the-kitchen scene of Jurassic Park. 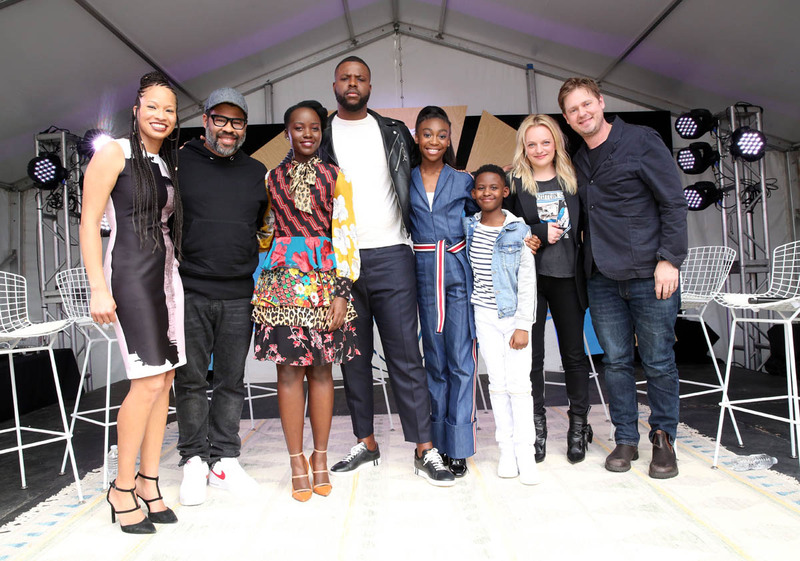 That said, without giving too much away — Jordan Peele made us promise not to give away any spoilers!!! (Sarah will have a full review that we’ll post shortly before the release date) — it’s not nearly as gory as you’d expect from watching the trailer, though I was hiding my eyes a lot. 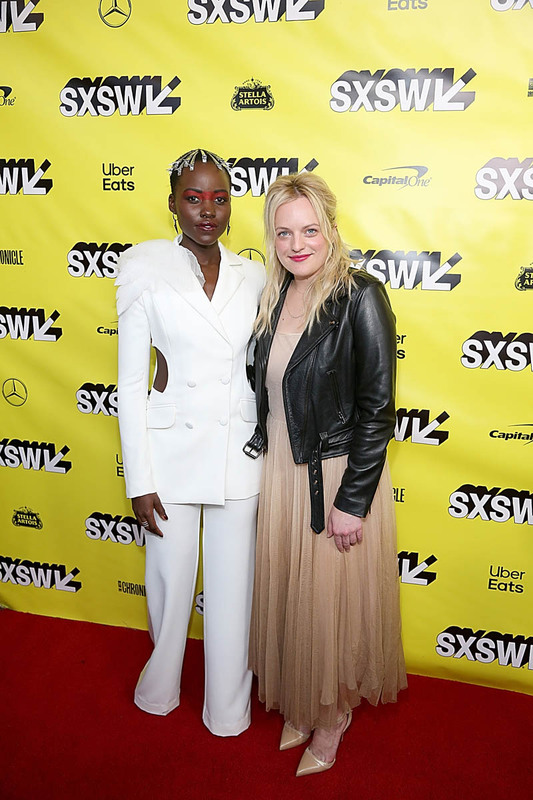 Lupita, who plays dual roles here, gives us her best Black Swan with a hint of Sigourney Weaver’s Ripley. She’s ferocious. Thankfully, Peele sprinkles in plenty of humour too. 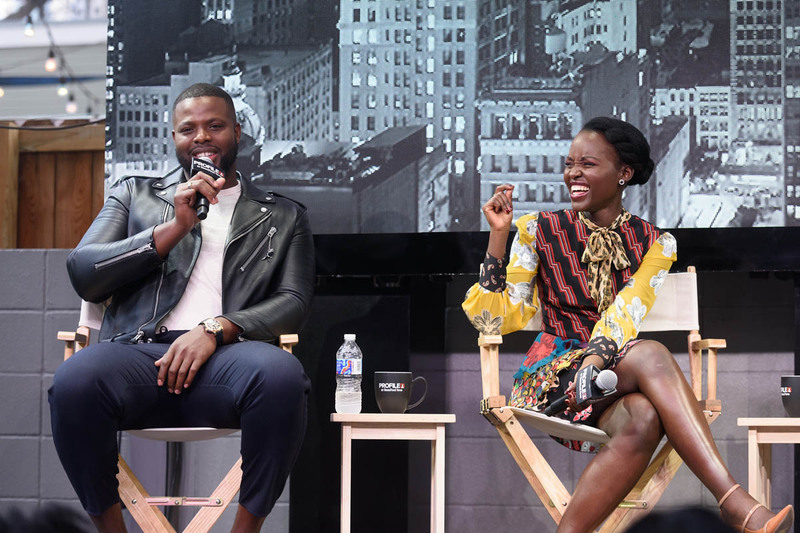 Winston Duke is hilarious, and Elisabeth Moss almost steals the movie as a cartoony, plastic surgery-loving blonde. Also, the soundtrack is wild. You’ll never be able to listen to the Beach Boys’ “Good Vibrations” the same way ever again. It’s true. I would not be surprised if Us becomes a hit on the same level, or bigger, than A Quiet Place, which played at SXSW last year, just because of the word of mouth buzz that’s been building since our first glimpse at the poster last May. 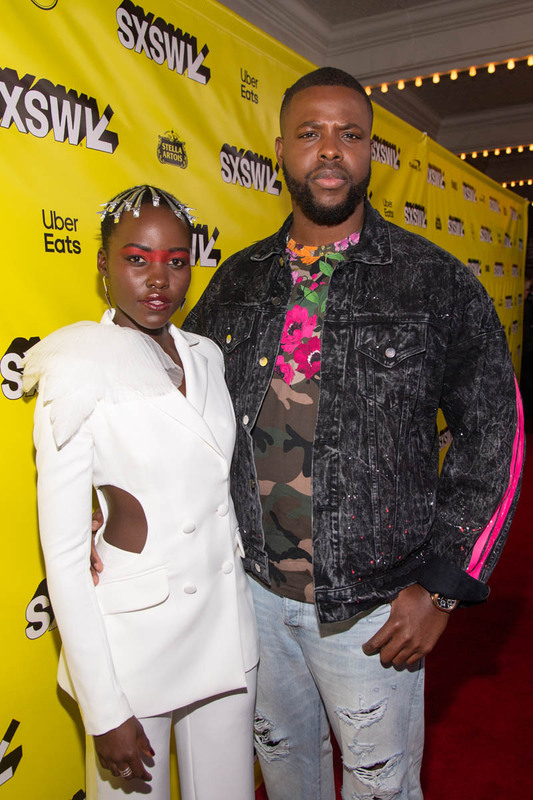 Us certainly has hype on its side though, and it has an easily recognizable symbol with the gold garden shears, which Peele was sporting on his lapel at the premiere. Lupita’s earrings were scissors-inspired as well. Us is spine-tinglingly fun. See it with a big crowd and see it quickly. The Paramount Theatre in Austin was LOUD, which not only enhanced the pulpy experience, but made the carnage more palatable. 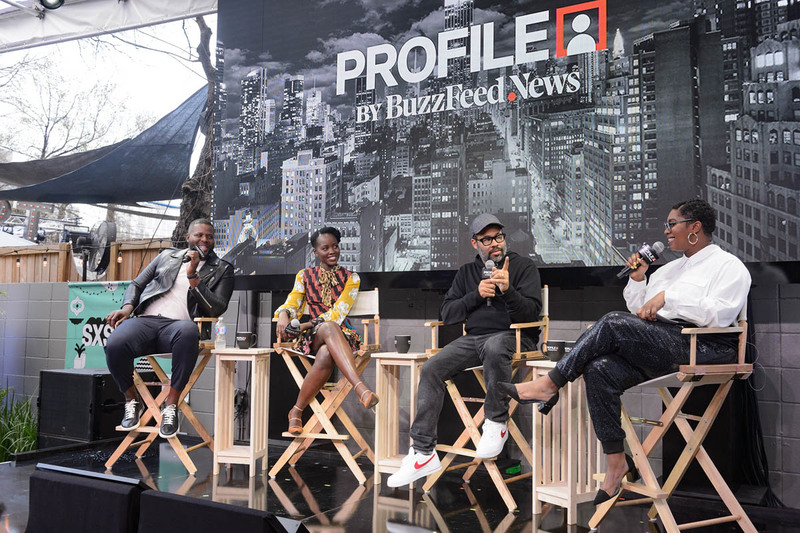 And these duelling Lupita performances are the kind that happen truly once, or in this case, twice in a lifetime. 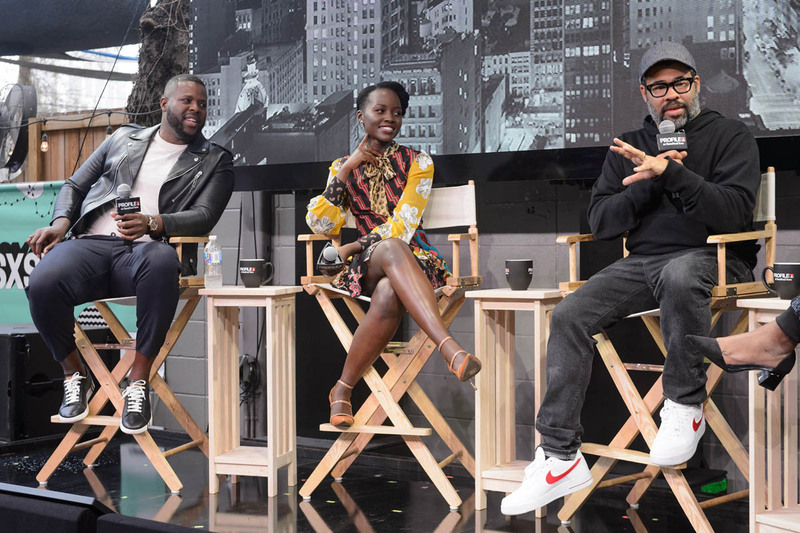 Lupita dubbed working with Jordan Peele "terrifying"